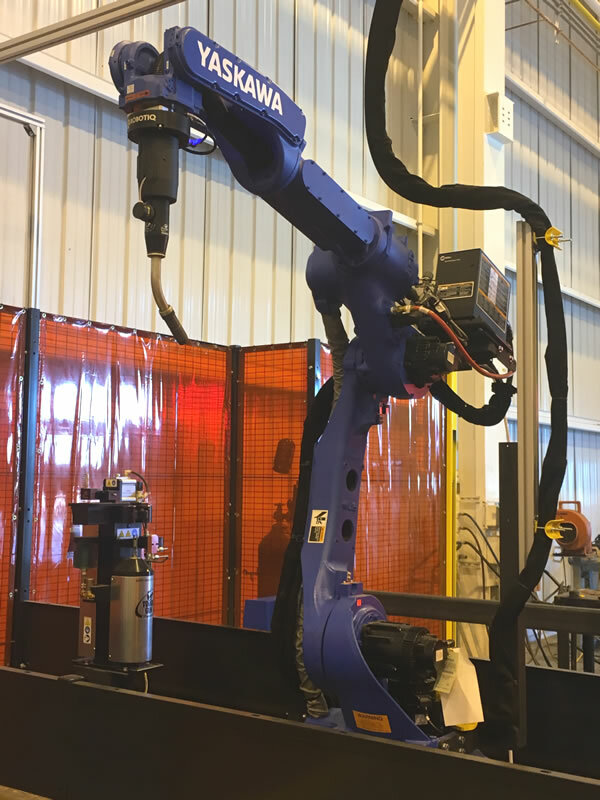 Technology and Capabilities | Team Industries | TEAM Industries Inc.
Not only do we have the industry’s most skilled welders and support staff on our team, but a breadth of state-of-the-art equipment and technologies make our processes and product superior to all others. What does that mean for you? Accurate, on-time projects that meet and/or exceed expectations – every time. A dedicated document control group and controlled receipt and distribution of contract documents system uses bar codes for optimum data and filing accuracy. An electronic file management system accessible to all shop and office personnel gives us instant access to client specifications and related information and drawings, helping ensure ongoing accuracy of the project. 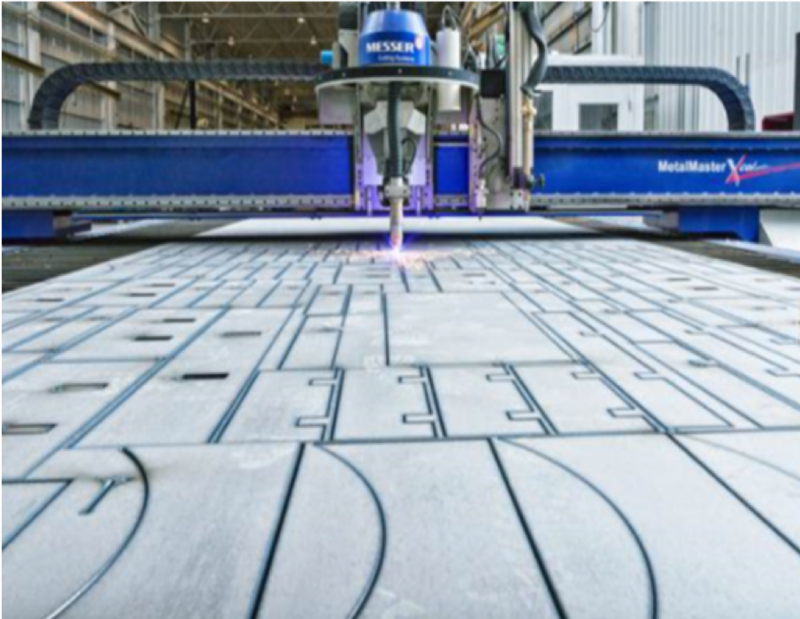 EDI and 3D capabilities using Spoolgen mean automated material takeoff and reduced delay. 2D drawings are handled with I-Sketch. 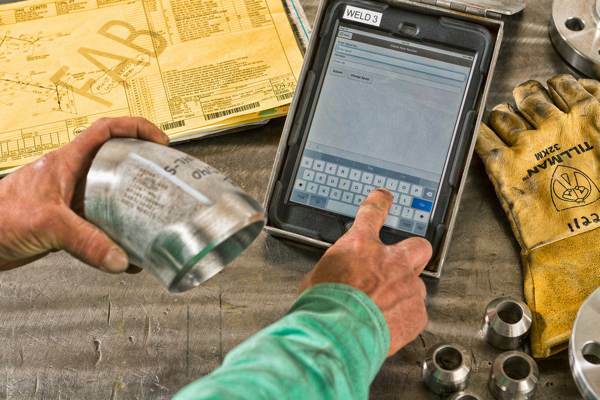 An electronic library of documents related to the work being performed throughout the company, including job specs, drawings, codes, etc., so there are no gray areas when it comes to accurate information. Our “key document” process puts all information needed to fabricate the spool to its project and code requirements on the shop drawings; this functions as a Quality Control Traveler document to ensure that everyone is “on the same page.” Document control packages include spool drawing, iso drawing, material test reports, weld map/QA spool drawing, PMI reports, heat treat charts, pain reports, hardness reports, RT reports, PT/MT reports. 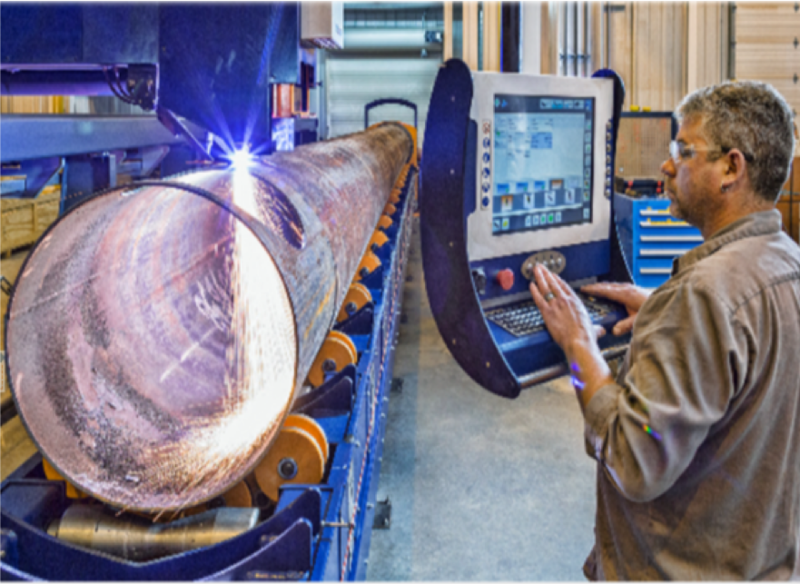 Fabrication Progress Reports provide exact and detailed status of each spool through each step of its fabrication, from isometric receipt right through shipment. This information is also readily available to customers. 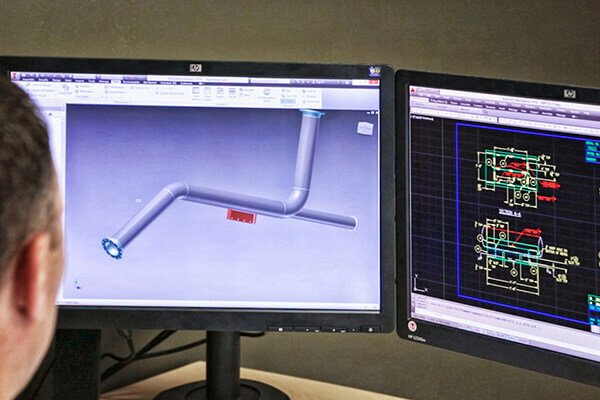 Our Isometric Flow Chart controls the accurate fabrication and flow of spools through engineering and the shop. 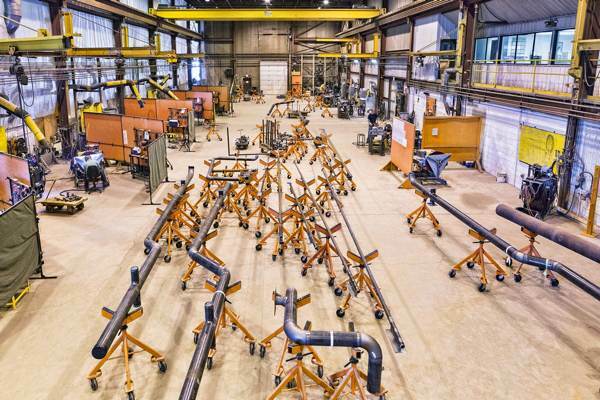 This multi-step process includes a number of precision checkpoints along the way, with automatic flagging and detailing of every spool requirement involved in the fabrication. Pressure Vessel design using Codeware Compress software and design/detailing using AutoCAD and Inventor. 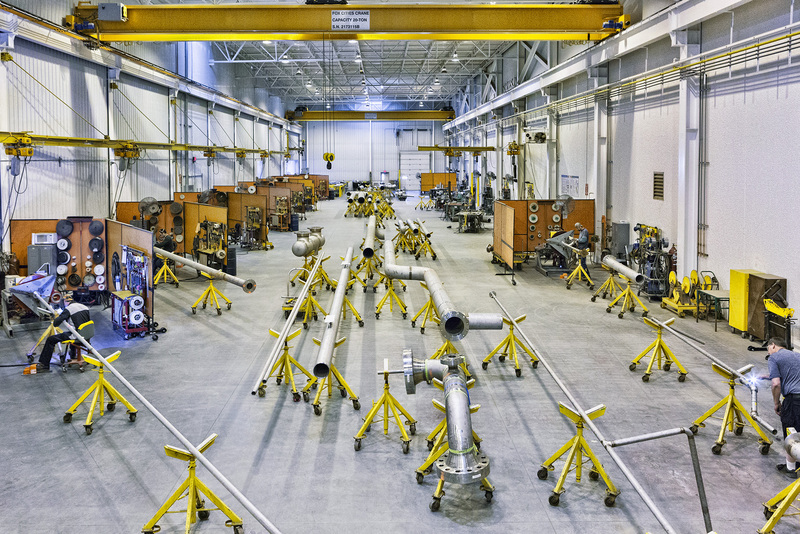 Team Industries, Inc. performs pipe fabrication of all grades of stainless, including duplex steels and nickel-based alloys used in chemical, refining, power, and pulp & paper industries. 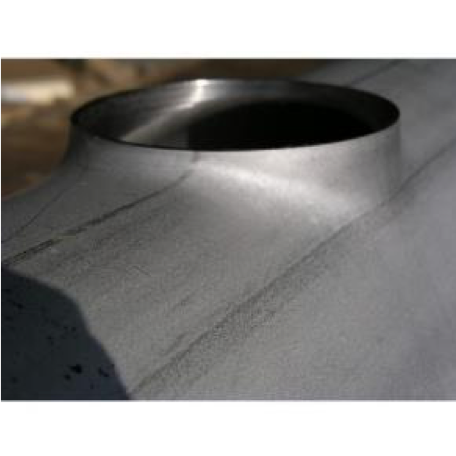 Weld finishes are supplied in passivated condition to ensure cleanliness and protection. In House machines to fabricate 2”IPS - 54” in all DR ranges. All machine equipped with Data Logger recorders. 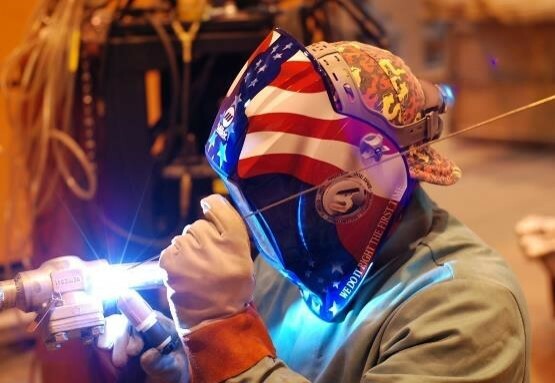 Team Industries, Inc. tank, vessel and plate fabrication facility is equipped with rolls, shears, press brakes, plasma cutting, iron workers and seam welders. Team has the capability of forming tanks/vessels from as small as 14" diameter to as large 20’ diameter. 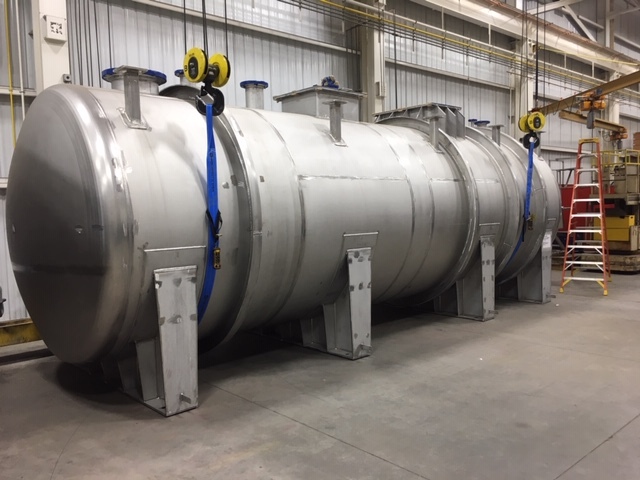 These tanks and vessels range from API storage tanks to complex ASME code vessels. 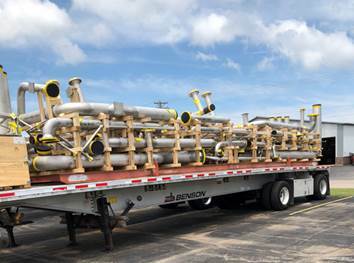 Team’s SSPC-QP3 Certified Coating Facility uses the latest technologies for the surface preparation and coating of pipe spools, vessels, and structural supports. 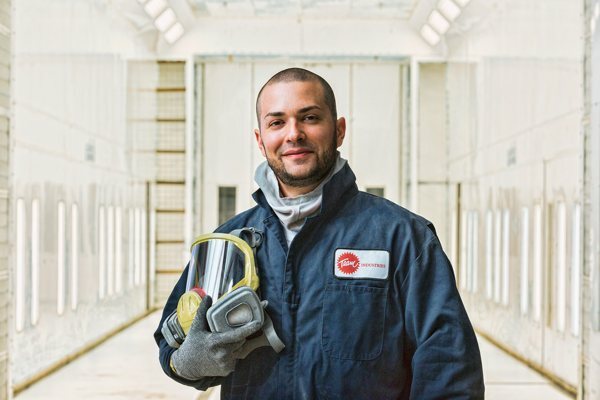 Located in Kaukauna, Wisconsin, the coating facility operations covers over 60,000 square feet that house two abrasive blast cleaning booths and four coating application booths (SSPC Level II staffed). 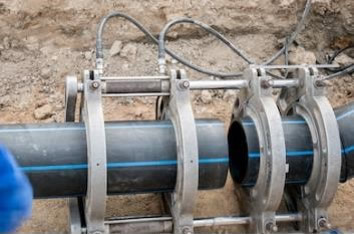 ½”- 6” port size on ¾” -16” Pipe headers. Capable of cutting tubes up to 4” round and 3” square. 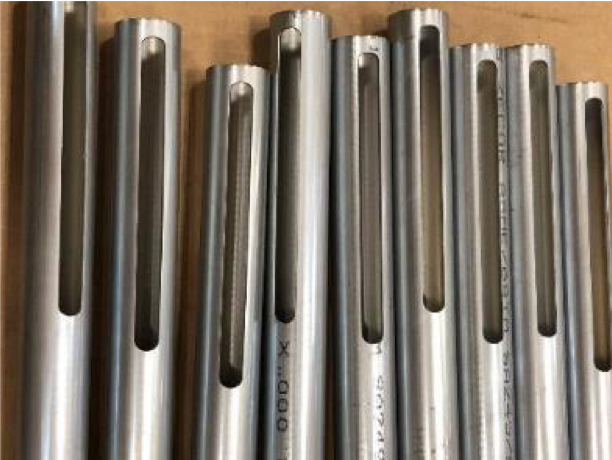 We use 10,000-PSI pneumatic pumps for hydrostatic testing, with 96 high pressure plugs for use in plain end pipe and over 200 flanges in assorted sizes. Our 2,500-gallon water storage tank controls the temperature for hydrostatic testing. Chart recording technology available. Note: All Testing Procedures are completed on site. 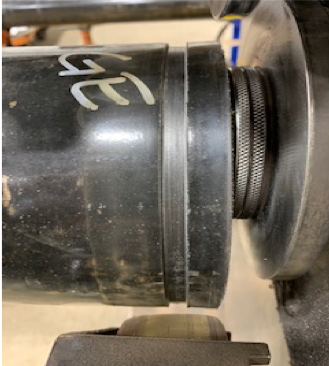 In our Wisconsin facilities we are certified to perform "PP", "U", and "TSSA"
In our Port Arthur, TX facility we are certified to perform "S", "U", and "R"
Our dual-chamber x-ray vault allows a constant stream of spools – while an x-ray is being performed on one side of the vault, the other is being emptied and reloaded, so there’s no downtime. 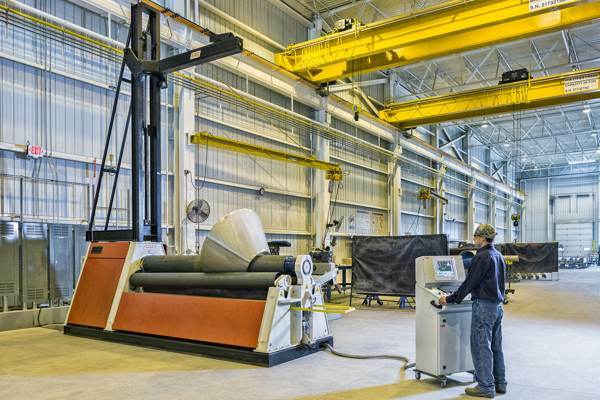 Our vault is capable of handling extra-long spools, up to 75 feet. 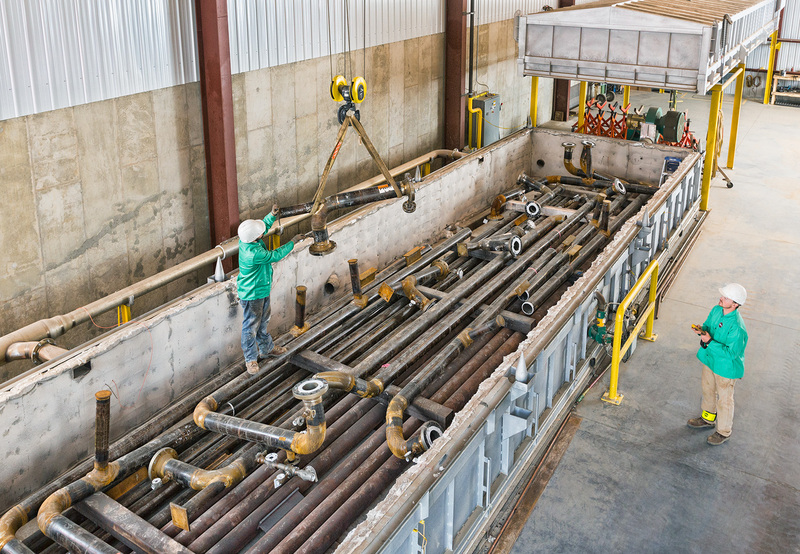 We load each spool onto a Team-designed wagon – the same wagon it sits on during blasting and painting. This time-saving step makes our process more efficient. 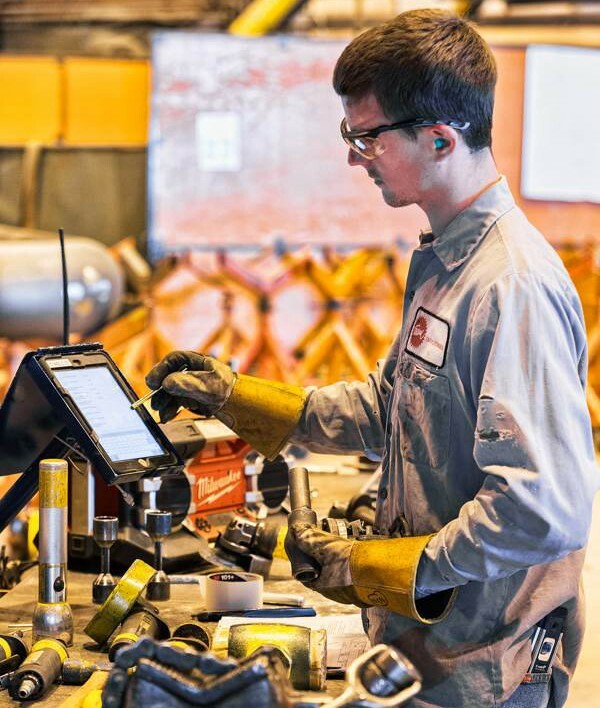 Our welders must prove their competency to make x-ray quality welds prior to making any production welds, and must maintain that competency for periods of 6 months or re-qualify in order to continue performing. Radiography interpretations are performed by a third party to ensure accuracy. 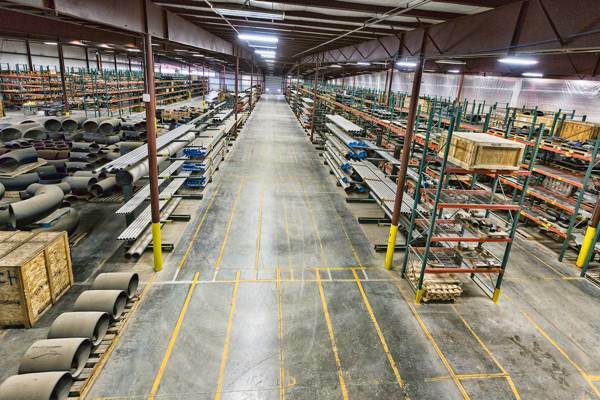 Only Team has an impressive 75,000 square foot indoor receiving warehouse, with more than 7,000 inside rack storage locations and more than 100 cantilever pipe racks. 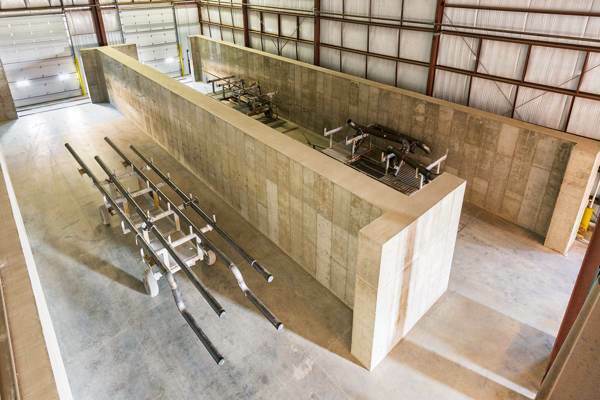 This investment in secure storage away from the effects of weather is key to swift flow of materials from receipt to stage to storage to production. 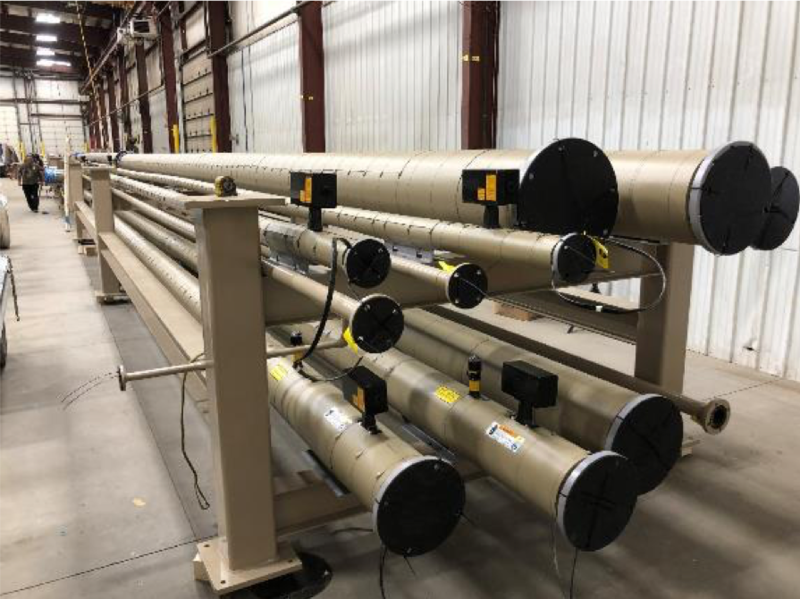 Adding to the efficiency is that our state-of-the-art blasting table can blast fittings right in the material receipt warehouse, minimizing the handling of fittings, elbow and other pieces. All that you’ve read is just the tip of the iceberg, so to speak; only a tour of our facilities would do the list of capabilities justice (and to arrange one, all you have to do is go to our Contact page and make a request!). 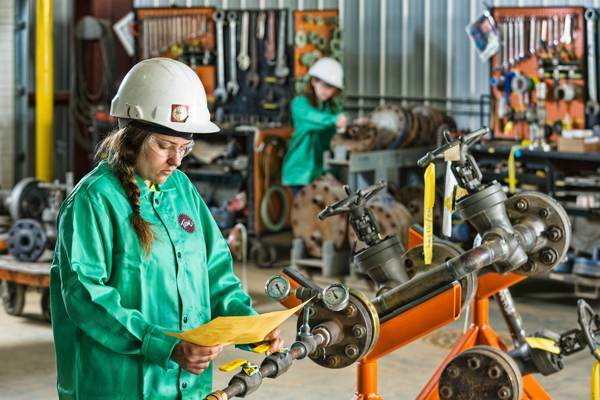 Team has some of the best practices, people, equipment and technology in the industry, all of which contribute to making Team a leader in both quality and performance. At Team Industries our Customers can rest assure that their freight is managed in the safest and most reliable manner ensuring arrival to your job site on time and undamaged.